Attorney Jim Miron is passionate about providing the highest caliber of legal representation to clients whose needs encompass a broad range of personal injury cases. With over two decades of experience, he understands the challenges faced by injury victims and he knows that every client is unique and every case requires an individualized approach. If you’ve been injured or lost a loved one due to someone’s carelessness, recklessness or negligence, please contact attorney Jim Miron today by completing the form on this page or calling 203-339-5991 for a complimentary initial consultation. 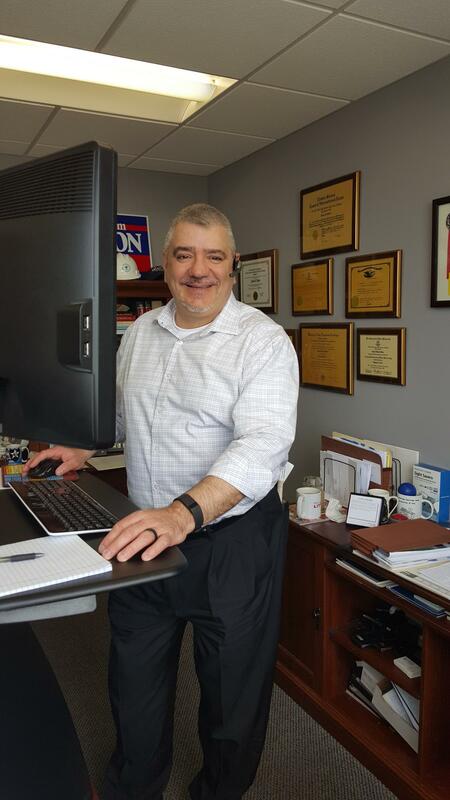 Jim serves clients throughout Connecticut including the Greater Bridgeport, New Haven, Stamford and Waterbury communities. Attorney Jim Miron is proud to fight for the rights of innocent victims in our community. When someone’s careless, reckless or negligent actions lead to a personal injury, he is dedicated to enforcing safety rules by seeking justice for those whose lives have been changed by rule breakers. If you’ve suffered serious harm because of another person’s recklessness or carelessness, you need to know your rights and understand the true value of your losses – not just the losses you suffer today, but also the one’s you’ll experience in the future. You shouldn’t have to suffer the burden of medical bills and lost income alone because of someone else’s misconduct. If you or your business requires these services, contact Jim. He will connect you with the attorneys in his firm who are best suited for your case. When you’re looking for an injury lawyer you can trust, experience should be one of the most critical aspects you consider. For an attorney, there is simply no substitute for real-world personal injury law experience. For more than two decades, attorney Jim Miron has built a hard-earned reputation for success and helped his clients attain millions of dollars in combined verdicts and settlements. Attorney Jim Miron will manage your case with the personal, thoughtful attention it deserves. When you are represented by Jim you’ll work directly with him, and a dedicated legal assistant, throughout every stage of your claim. You won’t be passed off to a junior attorney. Your injury case couldn’t possibly be more personal to you, which is why it is so personal to Jim. You will never feel left out or unclear about the status or direction of your case. He will give you honest, compassionate, straightforward legal counsel. He will always fight for you and your family. When you hire attorney Jim Miron, you can expect experienced, results-driven representation for your personal injury case. To discuss your case for free, call 203-339-5991 for a complimentary initial consultation. Jim welcomes clients from across Connecticut including the Greater Bridgeport, New Haven, Stamford, and Waterbury communities.